There have been many transitions here at Preferred Airparts since our loss of co-owner Ken Stoltzfus Jr., who passed away on July 19, 2011, following emergency surgery for a brain tumor. From our founding in 1982, Preferred Airparts has been a family business with a commitment to serving God through the resources He entrusted to us. Ken was an important part of helping make that happen. In order to provide the framework for our original vision to carry into the future, Brian has brought his brother Mark, and Ken’s sons Colby and Austin, into ownership in Preferred. Mark has been managing Preferred since fall 2011, in addition to overseeing AFM Hardware, and he will continue in that lead role. 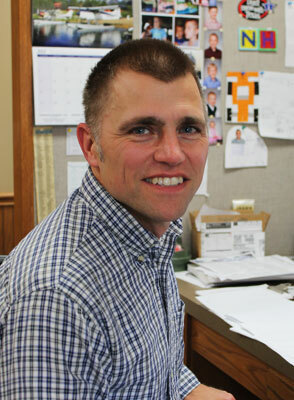 Colby is the Sales Manager and is part of our Administration team. 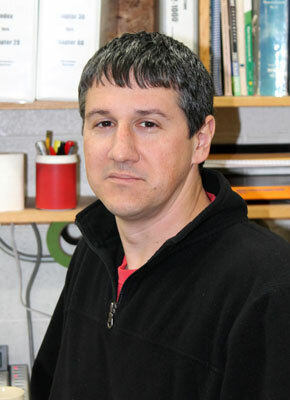 Austin is a licensed A&P, and is managing our Preferred Fabric Division. He has his Private ticket in helicopters and both he and Colby both have their fixed-wing ratings. 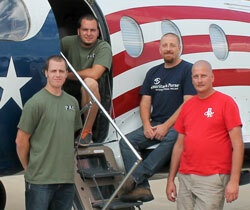 We'll introduce you to the folks here in the area they work in, starting with the people you deal with most directly. Click here to see how the Preferred Airparts Employees are making a difference in the world around them! 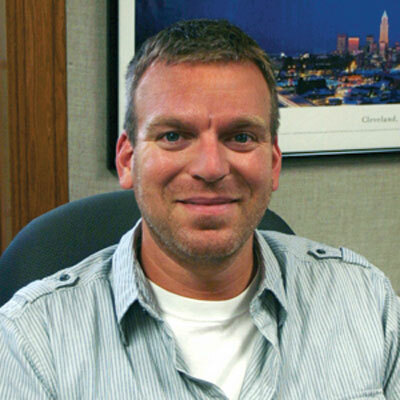 Colby Stoltzfus - Colby is the sales manager at Preferred. He does an assortment of things here along with some sales. 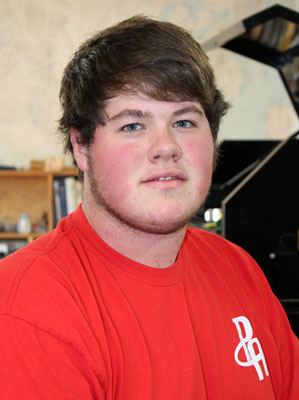 Colby spends his spare time playing sports, hunting or just about anything outdoors. Rick Yoder - Rick has reached the 30-year mark with Preferred. He and Tammy have a family of ten including six adopted children. An avid ball player and sports fan. Chris Brown - You've been talking to Chris since 1995. He handles all our missionary aviation accounts. Chris and Denise have three daughters and three grandchildren. In his free time, Chris plays bass in his church worship band and loves anything music related. 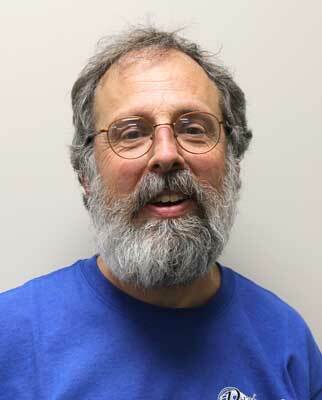 Steve Nussbaum - Steve came to Preferred in 2001 and has added propeller and seat sales to his repertoire. He and Mim have two grown children. Biking and Breyers Ice Cream are special interests of Steve's. 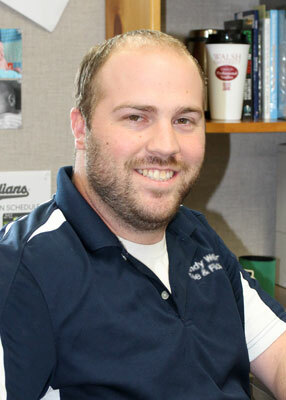 Mike Scheetz – Mike is an ’07 addition to our sales team, he will be answering the phone and doing faxes. Mike’s into cars, racing, and tractor pulls, “basically anything with a motor”. His wife Sue has retired from full-time teaching but still substitutes along with teaching swimming. Nate Berkey- Nate joined us in 2004 after some time in law enforcement. He is one of your Engine guys along with other sales. Nate is a drummer, and he and Tara have two young children. 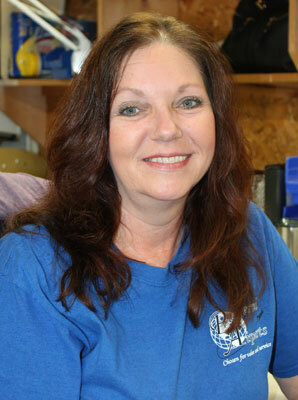 Sharol Schluep - Sharol joined our sales team after 11 years working in our inventory department. She and husband David enjoy camping, biking, and spending time with their five kids and nine grandchildren. 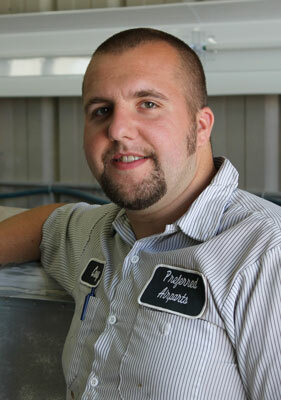 Drew Gerber - Drew is a 2013 addition to our sales team. Drew and his wife Jill have a set of twins boys keeping them busy. 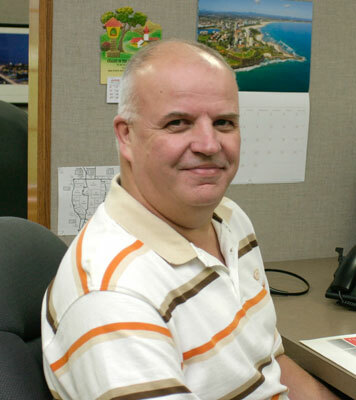 Alan Streit - Before joining us, Alan worked in the oil and gas and automotive industries. In his free time, he enjoys being outside in warm weather, sports and spending time with his family and grandchildren. 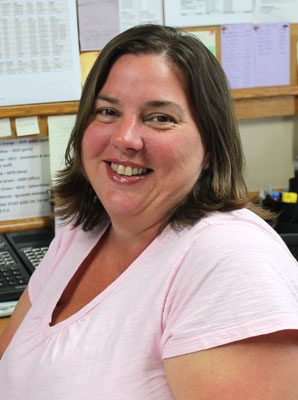 Michele Speicher - Michele joined Preferred in '06, she is doing invoices and other office details. Michele and Jerry have two grown children and one grandchild, she enjoys painting. 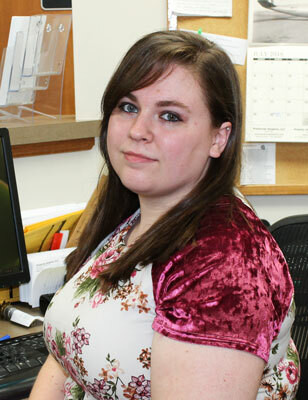 Amanda Young - Amanda is a double duty employee at Preferred Airparts. She’s in the office doing invoices and other office duties 3 days a week and helps in our shipping department the other 2 days. Amanda has one daughter and a Golden Retriever. In her free time, she enjoys reading, listening to music, spending time with her daughter, and running her sewing business MandyGurl Stitches. 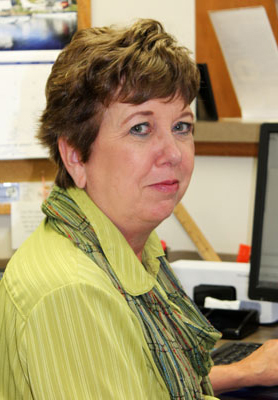 Teresa Nolt - Teresa joined Preferred in 1998 doing invoices and other office duties. Now having four young children she has cut back to one day a week. She and Chad enjoy camping and traveling with the family. Ryan Mathys - Ryan returns to Preferred as the Human Resources manager, after an eighteen month hiatus. Ryan enjoys playing ice hockey, hunting, and fishing. He and wife, Tracy, are the parents of twins and the family is always entertained by their two beagles. Shanna Rice – Before joining us, Shanna worked for a public accounting firm in Wayne County. Shanna and her husband, Tim, have a daughter together and she enjoys spending time with them when she’s not at Preferred. 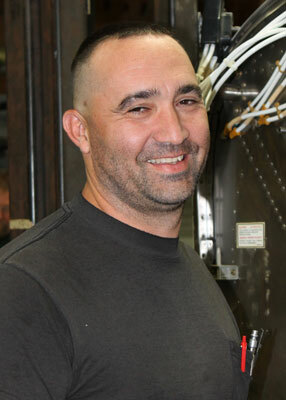 Gene Hembree - A former Navy sub mechanic, Gene worked in Parts for a Cessna distributor before joining us in '04. He and Sara have six young children. Enjoys photography and auto mechanics. 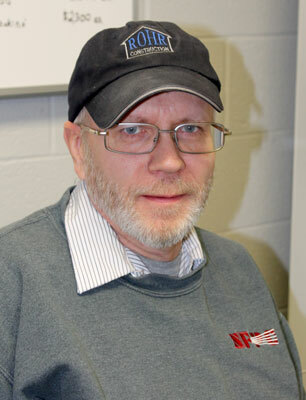 Tom Unferdorfer – Tom takes care of our Avionics and coordinates component overhauls. Tom and Annette have two children and he enjoys cars and RC planes. 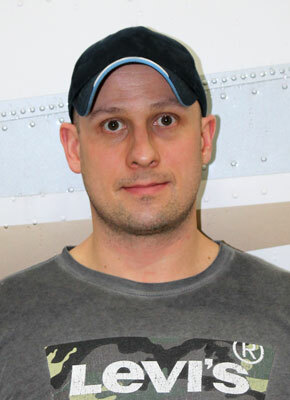 Richard Ford- Richard joined Preferred Airparts after twenty-four years in the Air Force. 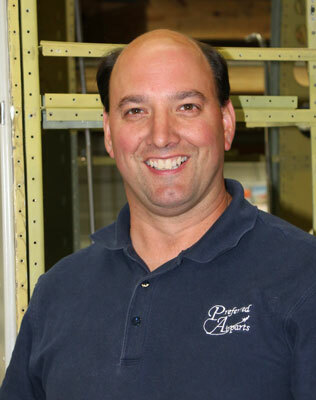 He coordinates our component overhauls as well as assisting in the purchasing department and avionics sales. Andrew Lester - Andrew was employed at a titanium supply company before recently joining Preferred Airparts. He enjoys hunting, racing, coaching wrestling, and spending time with his wife, Amber, and dogs, Daisy and Diesel! Dale Miller - Dale started in Sales in 2000 and is now Marketing Manager. He speaks barbeque and hunting in addition to English. Dale has three young children. Adriana Cosentino – Is a recent addition to the marketing team. Before joining Preferred she studied aboard in Florence, Italy where she had an international marketing internship with a luxury handbag company and graduating from the University of Findlay. 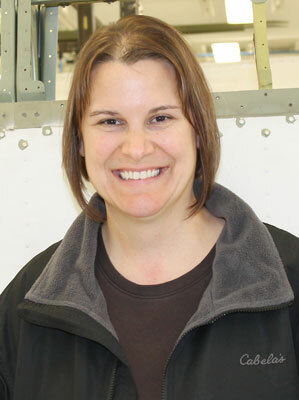 She is on a competitive Olympic Weightlifting team and enjoys spending time outdoors and with her cats. 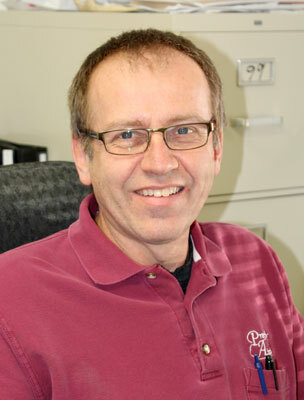 Steve Schlabach - Steve has done nearly everything around here since he started at Preferred in 1984. He and Ruth Ann have three grown children and six grandchildren. Hunting and fishing are some of Steve's favorite ways to spend a day off. Marc Hostetler - Mark inventories used parts for Preferred Airparts. He joined Preferred fresh out of high school in 1991. He and Lori have two young children and he enjoys watching football. 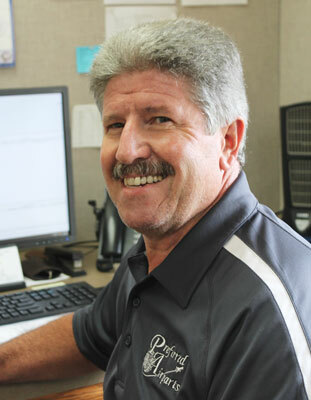 Tom Romey - A veteran at Preferred, Tom knows where everything's at in Warehouse #2 and helps with our trucking. He and Sherry have three daughters, and 4H is a big part of their family experience. 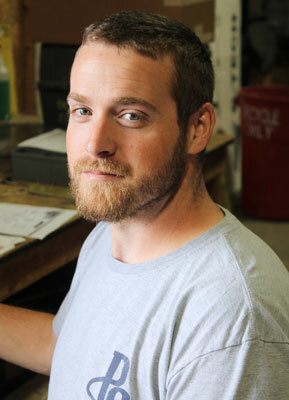 Jason Bash – Jason is an A&P and has found a home working in our teardown department. Jason’s into RC’s, cars, and playing bass in a worship band. Buddy Bevington - Buddy joined the Preferred Airparts team after a few years with our sister company Priority Air Charter. Buddy and Melissa have 3 kids. 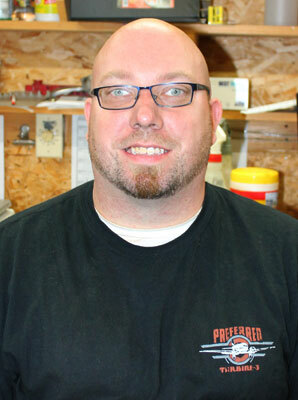 Kraig Mast – Kraig rejoined Preferred and is back helping in the used teardown and inventory retrieval department. He and Kayla are the busy parents to three young children. When Kraig gets some time to himself you’ll most likely find him hunting or fishing! Kenneth Miller - Kenneth is a 2015 addition to Preferred. He is handy with a welder and when he's not here he likes snowboarding, Hunting, and Fishing. Art Miller - Art is another addition to our inventory department. When the sun is out you will find him and Chris working in the garden! Eric Matie - In Shipping since 1997, Eric packs a lot of parts for you. He also covers Receiving and core returns. Bodybuilding and powerlifting are among his extracurricular activities. 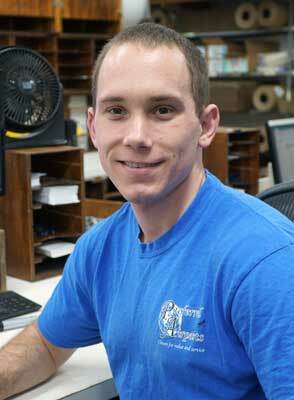 Corey Chupp – Corey is a recent addition to our shipping department. He enjoys football and basketball in his free time. 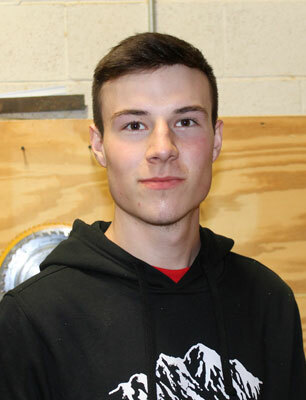 Alex Weaver – After spending some time on an assembly line Alex joined our shipping team. When he’s not here he likes to ride dirtbike, fish or work on cars! 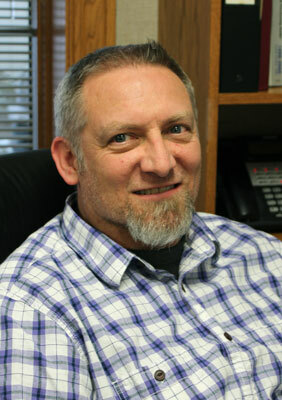 Kevin Runyon - Joined the Preferred team from Clark & Sons Cabniets. Kevin is married to Susan and has two sons, Cody and Brandon, and a dog named Chevy. In his free time he enjoys hiking, biking, building models, and spending time with his family. 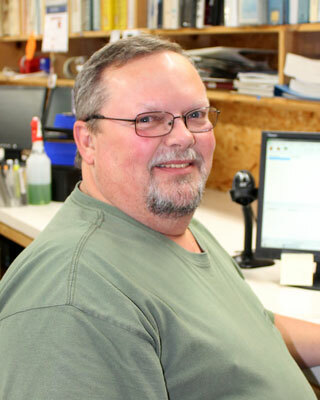 Dan Head - Dan has been part of our shipping and inventory team since 2005. He and his wife, Shelly, have three sons and two grandchildren. 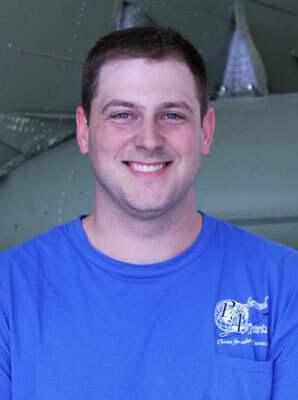 Cory Smith - Cory is a recent addition to our shipping team. Cory enjoys sports and hunting when he's not packing up orders. He and wife Ashley enjoy spending time with their son! 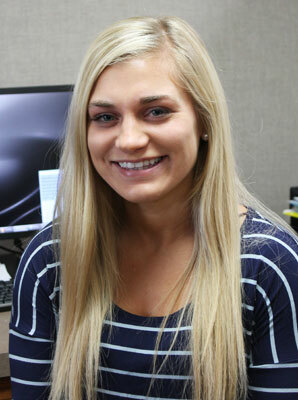 Natalie Hale – Before joining us, Natalie worked as a patient service representative at Cleveland Clinic Women’s Health. She and her husband Don have two daughters and her hobbies include camping, watching movies, reading and watching her children play sports. 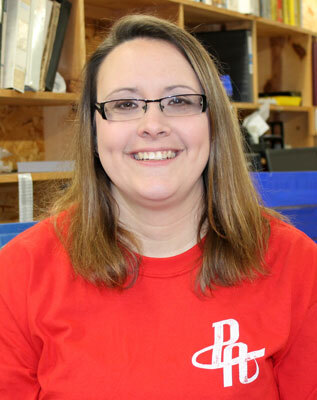 Annette Barnett – Annette came to Preferred after 5 years with Akron Brass. She has four children and enjoys to cook, bake and spend time outdoors whenever she can. 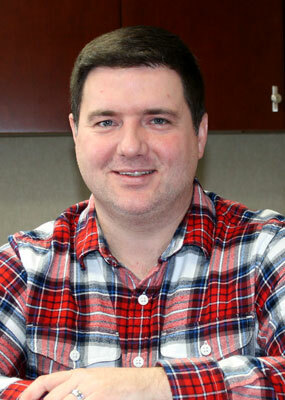 Kyle Whittenberger – After 15 years in retail management, Kyle became a part of our inventory team. He and wife Erin have two children. When Kyles’s not at Preferred he enjoys Hiking and helping his wife with her home business Rustic Luv Décor. Matt Near - A second-generation A&P/IA, Matt is happiest when he has something broken to fix. He and Kristie invested seven years in Kenya, Africa in missionary aviation before joining us in 2004. They have three children. 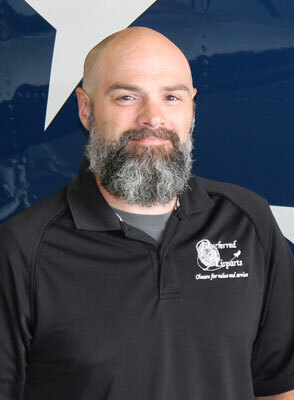 Kevin Landers - Kevin is a Private Pilot and joined us as a sheet metal specialist in 2000. 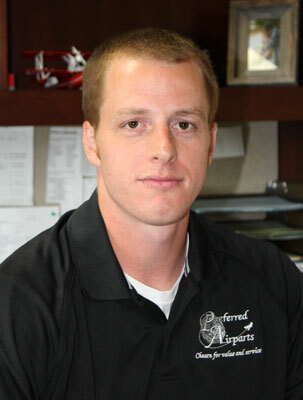 Kevin is an A&P, IA and former president of the local EAA chapter. He and Beth have three grandchildren. 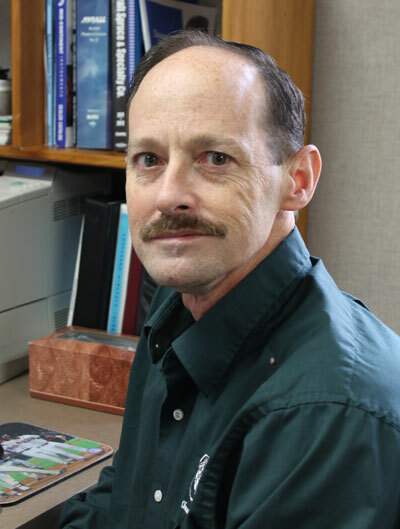 Michael Hicks – Michael came to Preferred straight from SMAT, School of Missionary Aviation Technology. Michael enjoys spending time outdoors with his wife. 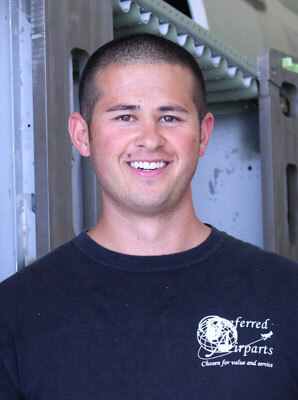 Kevin Kelly - Kevin started at Preferred in early 2014 and is helping in our structures department. He enjoys playing the bass guitar and shooting his bow when he's not working. 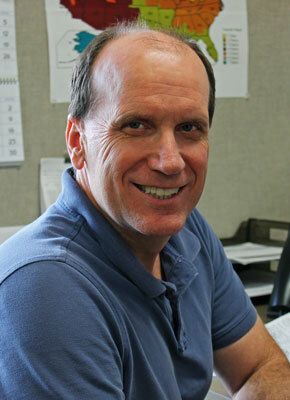 Rick Mairs - Joined Preferred in 2011 helping in our structures department. He and wife, Melissa, have a son, Reese and when not at work, Rick likes to work on cars or ride his 4-wheeler. Lisa Outland – Lisa is originally from California and joined us in 2015. She is now working in our structures department. When she’s not here she enjoys reading and hiking. Andrew Miller – Andrew joined our structures team straight out of school. When he’s not at preferred he enjoys blacksmithing, playing softball, hunting and fishing, and also is a youth leader at church. 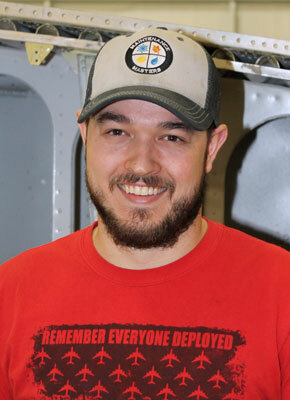 Lee Upp – Lee joined Preferred after serving in the Marines. Lee and his wife, Hillary, have one son and Lee enjoys Dirt biking in his free time. 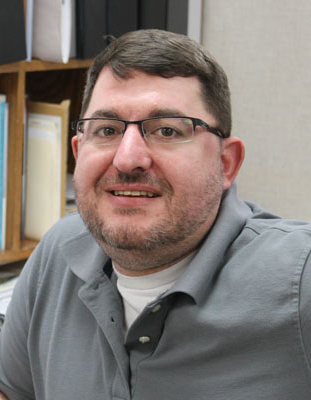 Jamey Weidner – Jamey joined our structures department after spending time being a welder. He and Bess have one little boy, and Jamey enjoys fabrication as a hobby. Andrew Rupp – Andrew came to Preferred from Pennsylvania College of Technology. He likes to compete in competitive archery and enjoys hunting, hiking, and sports. Chandara Him – Chandara grew up in Cambodia where he had a pet monkey named Darwin. 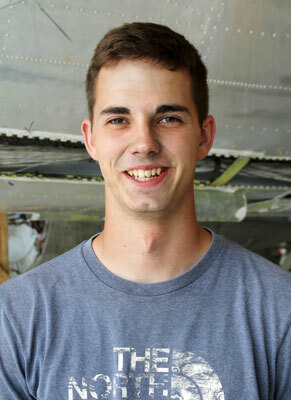 He joined Preferred after attending School of Missionary Aviation Technology. His hobbies include cliff jumping and white-water rafting. 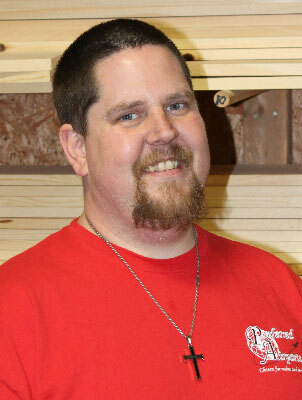 Jeremy Cooper – Jeremy was a machinist before joining Preferred. In his spare time, he enjoys flying, fishing, playing World War II games and spending time with his wife, Ana. Brooke Linz – Before joining Preferred, Brooke was a legal assistant for 10 years. She’s married with two kids and also has a dog. She enjoys spending time with her family and taking photos with her family! 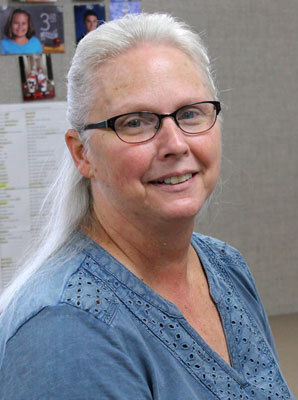 Kris Morehead – Before joining Preferred, Kris worked at JLG in Orrville, Ohio in the shipping and receiving department. Kris and his wife, Dianne, have one son. They also have three cats, a dog, a rabbit, and a bird. In his free time, he enjoys being outdoors with his family and staying busy anyway he can! 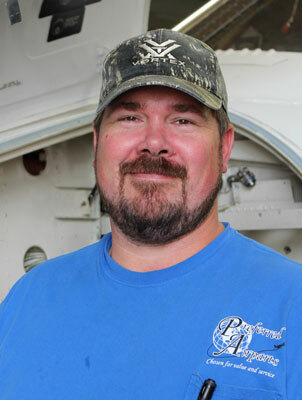 Adam Hile - Another second-generation A&P/IA, Adam has contributed a lot to our many Cessna Caravan rebuild projects since 1996. He and Colleen have two young children, and the family enjoys camping. Steve Moffit – After spending 21 years in Africa working with AimAir Steve has joined the Preferred Airparts family. He and Melinda have 3 daughters and rock climbing is something they enjoy together. Matt Shannon - Before coming to Preferred, Matt worked at Seco Machine as a design engineer, doing reverse engineering of turbochargers for locomotives along with the development of manufacturing processes. Matt has a dog named Shiloh and enjoyed spending time with his family, hiking, wrenching on his cars and racing four-wheelers. Paul Walters - Paul worked at NASA Glen Research Center (GRC) in flight operations before joining Preferred. He and wife, Michele, have two children, Travis and Christopher, and a dog named Piper. In his free time, Paul enjoys golfing, camping, and sight-seeing. Simon Stoyle - Handle's some of our painting and composite work. In his spare time, you can find him in his garage playing with his two MG's. He and Elisa met while missionaries in Kenya. 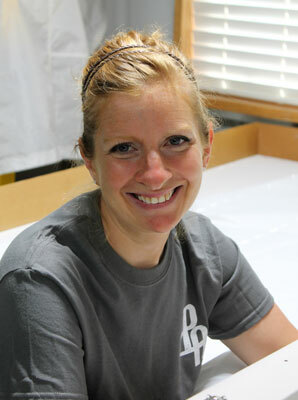 Casey White - Casey has good hands with a paint gun and fiberglass repair. Re-joining Preferred in 2012 after a short time of working on cars. 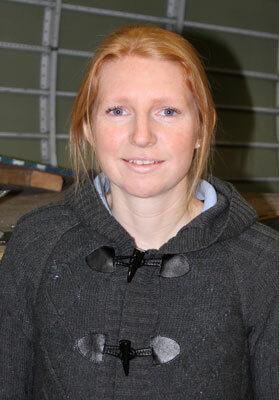 Katie Jackson - Katie is the person that sews our great fitting fabric envelopes. Katie and Cole have 1 daughter. When she's not at Preferred Katie enjoys working at home and camping with her family!